The Park Vista condo tract are part of the Woodbridge Village in the City of Irvine consisting of 284 condominiums built by Irvine Pacific Homes in the late 1980's. Park Vista subdivision borders Irvine Center Dr., Barranca Pkwy, Culver Drive and Yale Avenue. Park Vista condos are the most affordable homes in Woodbridge neighborhood. Homes are one level condos located in two story buildings with three floor plans featuring 1, 2 and 3 bedrooms ranging from 750 to 1,164 square feet. 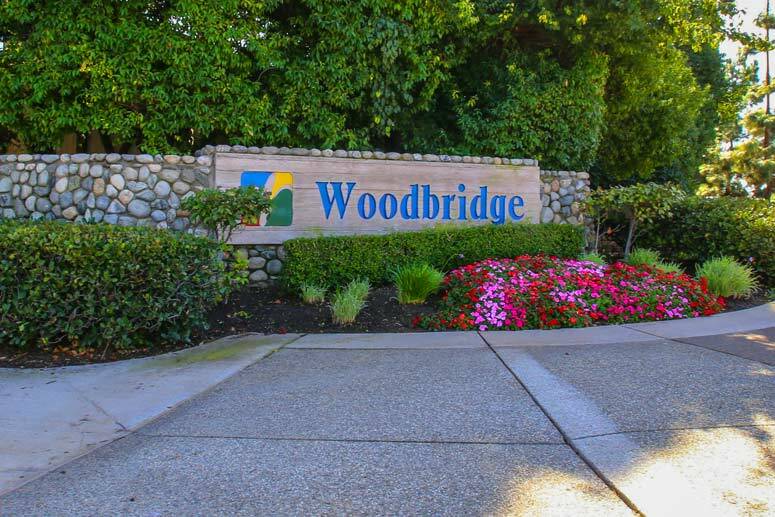 This subdivision is considered one of the most affordable condos in the Woodbridge area. "Plan Clearbrook" - 1 Bedroom, 1 Baths, 750 square feet of living space with one carport. (This floor plan offers both on first and second floor). "Plan Windjammer" - 3 bedrooms, 1.75 Baths, 1,164 square feet of living space with two carports. (This floor plan offers both on the first and or second floor). Master Homeowner's Association is Woodbridge Village Master Association managed by Woodbridge Village Master Association located on 31 Creek Road Irvine California. Their contact number is 949-786-1800. Approximate HOA due is $297 per month. The sub-association is Park Vista Maintenance Association managed by Huntington West Management P.O Box 1098 Westminster California 92684. The can be reached at 714-891-1522. The second HOA due is approximately $82 per month. Schools are among the award wining Irvine Unified School District. Schools are Stonecreek Elementary School, Lake Side, Middle School and Woodbridge High School.